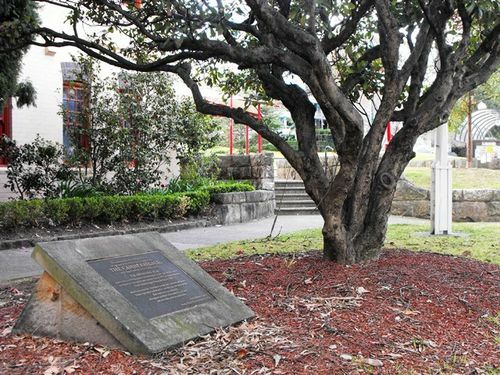 The monument commemorates the Cammeraygal tribe who were the traditional owners of the North Sydney area. To commemorate the traditional owners of the land of the North Sydney Council area, the Cammereraygals, once feared warriors of the Sydney region. The Aboriginal Flag represents a unifying symbol for Aboriginal people and was first flown on National Aboriginal and Islander Day in 1971 in South Australia. North Sydney began flying the flag in 1999. Black represents the Aboriginal people past, present and future. Yellow represents yellow ochre and the sun, the giver of life. Red represents the red earth, Aboriginal spiritual relationship to the land, and red ochre used in ceremonies.